So you probably know where I’m headed with this…letting go. Your home is probably filled with things you’re not ready to let go of but you know you should be free of, but I’m not a decluttering expert so I can’t speak to that. However, I am a consciousness and spiritual expert, so let’s begin here and the rest will follow! Here are some common ones that I’ve held myself, and that I’ve heard clients have. Just know that all of these give away your power and victimize you. Let me repeat that, YOU VICTIMIZE YOURSELF with your own thoughts and beliefs, now how much longer do you want to keep doing this to yourself? You get to decide, which is the beauty of this world, so choose wisely! If you said, “not one day longer!,” then excellent. If you said something other than this, then what the heck is wrong with you? Get with it and stop being your own worst enemy! Now that you’re clear about lessening your stinkin’ thinkin’, you then nurture your awareness to track what it is your mind does for you and to you. Then stop yourself as you slide back into that stinkin’ thinkin’ because it WILL happen, that’s normal. Point is, you get back on track towards the positive! 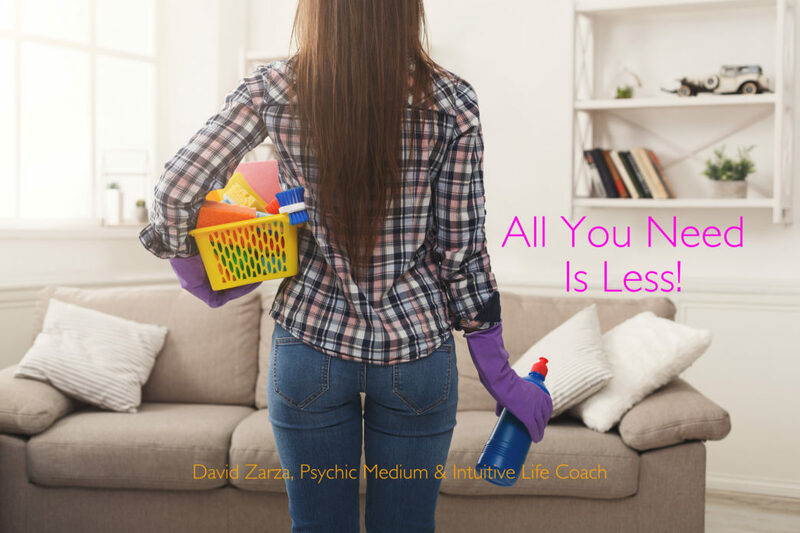 Have fun decluttering your mind, because as you’ll begin to notice, once you’re treating yourself better, the world treats you better and you more easily connect with better opportunities for yourself! Pssst... I have a surprise for you! CLICK THE BUTTON FOR A FREE GIFT! This is a thank you from me, to you. Feel free to share the link!